How can homeschooling help children build wellbeing, self control, and emotional intelligence? Noisy, disruptive classrooms surrounded by lots of other students. The fear of being bullied and a long journey to and from school everyday are the daily reality of many children. Class sizes are increasing, with groups of up to 35 children in many schools. This can make it difficult for children to focus on their learning, as they can easily become distracted in class. This means that over the course of a year up to 38 whole days of learning can be lost from a child’s education. Within the busy school system it is easy for a child to disappear below the radar. For children with low self control, keeping on top of work and homework independently can be a significant challenge. For many parents, this leads them to decide to homeschool their child. Homeschooling can seem daunting to parents. They fear that they will not be able to plan and teach the entire national curriculum to their child. They may also be concerned about sacrificing their salary and career to become a stay at home educator. In the last decade online primary and secondary schools have increased in popularity. Children sign up to these, and receive all of their lessons from home, online. They are taught by exceptional and qualified subject specialist teachers, who deliver the English national curriculum. Students can study for GCSEs and A levels, and sit the exams at their local centre. Online education particularly suits children who have social anxiety or other mental health issues. They may have experienced bullying in school, or find it hard to concentrate in disruptive busy classrooms. Many have special educational needs (SEN) that aren’t well catered for in school, or are at risk of school exclusion. They can study from home in a safe space, giving them the security to focus on certain areas of their life. Studying from home brings both short term and immediate beneficial outcomes to children’s wellbeing, self control, and emotional intelligence. Significantly, children are enabled to focus on their learning with other distractions being eliminated. They are able to directly control their learning environment, enabling improved concentration. They sit with a headset on at their computer, and sign into the virtual online classroom to attend their lessons. Pupils are taught in small class sizes, where teachers really get to know them. Disruptions are kept to a minimum, so students find it easier to focus on their learning. Lessons are stimulating and engaging, with teachers using a variety of methods. There are quizzes, interactive whiteboard sharing, games, and group discussions with other students. This has an instant effect on the wellbeing of students who have struggled in school. They are empowered to take control over their own learning, and receive instant and ongoing feedback from their teachers. At online schooling, pupils are closely supported by teachers. If they are struggling with anything in particular, the teacher can support them by giving them the one to one help they need. Teachers support them in following instructions, completing their homework, and participating in lessons. Pupils are more engaged in their studies when studying online. With fewer contact hours in an online school, and less time travelling to and from class, it is easier for children to pay attention for the hour long lessons. Parents are able to supervise learning, whilst giving children the space to study themselves, developing self control and independent study skills needed for the future. They can encourage positive behaviour and encourage a curiosity for learning, increasing engagement. This can be a valuable way of resolving common behavioural problems endemic in overcrowded and disruptive classrooms and schools. Online schooling also frees up spare time for children to pursue sports or hobbies. This can help to deal with behavioural, mental health issues, or special needs. Self control has been proven to be a significant predictor of wellbeing- over IQ or socio-economic background. Enabling students the space at home to develop this skill may be one of the greatest decisions a parent can make for a child who really struggles at school. Feeling comfortable at home can meet a student’s basic emotional needs- safety, love, and belonging, that may have been compromised at school. Once these are met, higher levels of self actualisation, creativity, and pursuing potential can be achieved. This provide the space for children to develop emotional intelligence, a curiosity for learning outside the classroom, and pursue creativity. Instead of feeling left out, they can forge a feeling of connection with their teachers, and other students in their classes and in the online common room as part of a vibrant online community. Students have more time to pursue sports and hobbies where they develop positive relationships with other children their own age, learn new skills, and reduce stress. The wellbeing and the feeling of being engaged in a routine and structure the of education, whilst focusing on self development away from a disruptive school environment, has the potential to be holistic and long lasting. 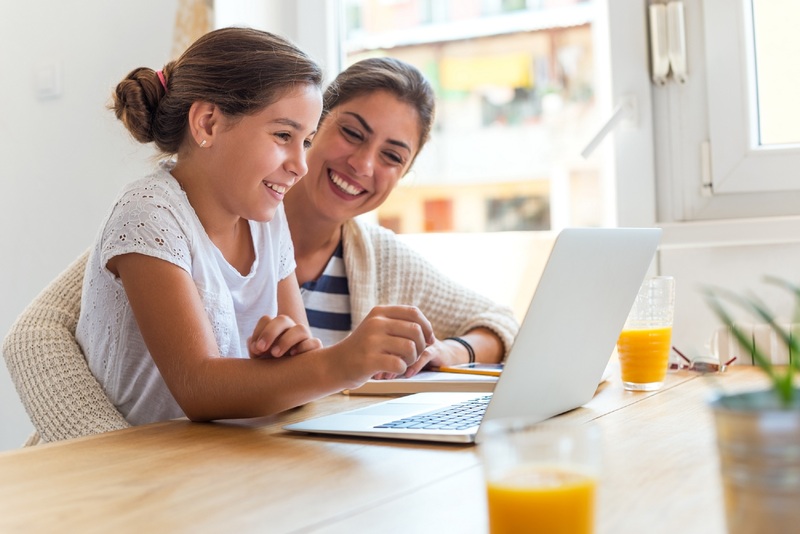 Online schooling can prevent the harmful effects of bullying or social anxiety experienced by students who do not find mainstream schooling working for them. Myonlineschooling.com is a UK based online school. Compared to other online schools, the number of students is small, resulting in a caring and personalised approach, with an affordable and competitive pricing structure. The school is committed to providing an education of excellence. My Online Schooling really believes that every child has the right to a quality education, and should have the opportunity to be the best that they can be, even if mainstream education doesn’t work for them. It seeks to empower children, no matter what their personal experience, foster independence and self control, and support the development of happy and successful students. It gives everyone a chance, and offers an alternative that many might not know exists. The fees are a fraction of those of private schooling, and mean that the classes are accessible for students of all backgrounds, with funding often offered for homeschooled students from Local Education Authorities (LEAs). Shortly after leaving school, Lucy’s family discovered My Online Schooling. Lucy had a trial week and she loved it. As an online school delivering the National Curriculum and providing iGCSE teaching her Local Education Authority agreed to support Lucy through her learning. After just a few months the changes in Lucy have been incredible. For the first time in years, she is enjoying learning. She loves the classes and despite being slightly reluctant at the start, she engages extremely well with her teachers. She has opted to take iGCSE Maths, English and Science and she is progressing extremely well. My Online Schooling supported her family to get her enrolled for her exams, which she will be sitting this year. For a girl who had given up on education altogether, the results have been astonishing. “My son lacked confidence after experiencing racism and bullying in two schools, but this has all changed since using myonlineschooling.com. He is so happy and so are we as we have seen so much difference in only a couple of months. The teaching is so engaging, and I can tell that he is learning so much as he can explain to me what he has covered. He has particularly excelled in science and I would have never known this if he was in a ‘normal primary school’. Although he is only 10, his science teacher who is also a lecturer in a top university said he was more than capable of doing his iGCSE early (4 years early!). This is all down to the school seeing a child’s potential and running with it. I am also impressed with the founder and director, Tom Crombie who is so approachable, accommodating and amenable. I work part-time and try to fit in the online schooling in the days when I am at home. Tom has made this possible for me this year and I am very grateful how he has put the bespoke timetable together. I also like the way I can take a laptop to a cafe or to a friend’s house while my son still can access his online lesson wherever there is wifi. The technology is excellent and so are the teachers. Interested in Homeschooling Your Child? If your child does not find that mainstream schooling is working for them, and you are considering alternatives, you can register your interest here.